Displaying a deep purple ruby hue, 2012 Malbec speaks of lush dense fruit. 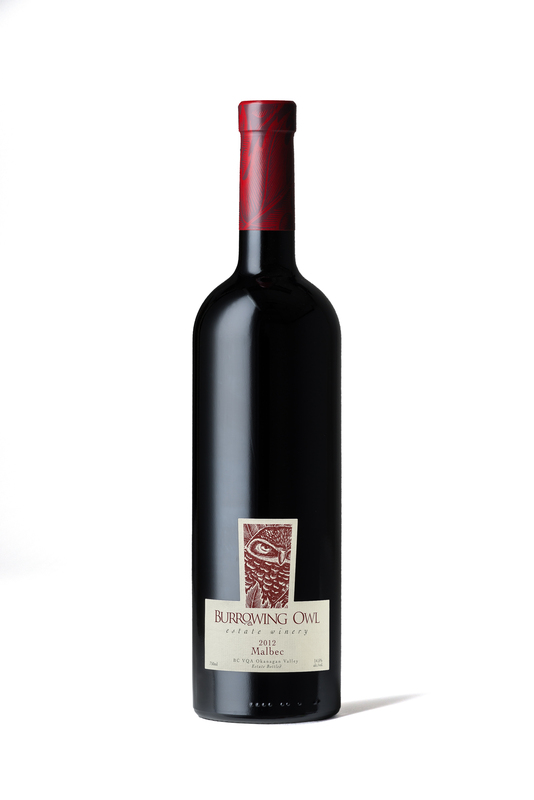 The nose opens on perfumed scents of Bing cherry, Damson plum, blackberry, vanilla, liquorice and hints of cocoa. Medium to full in body, its silky texture nicely balances with ripe and round tannins. Flavours of sweet black cherry and baked plum, mesh well with dark cocoa, vanilla and some peppery spice combined with a hint of wet earth. Its rich fruit and earthy notes make for quite a versatile food pairing wine: BBQ pulled pork or egg noodles tossed with a diced sausage and mushroom sauce. Malbec can also handle some peppery heat; try it with a spiced aubergine soup. 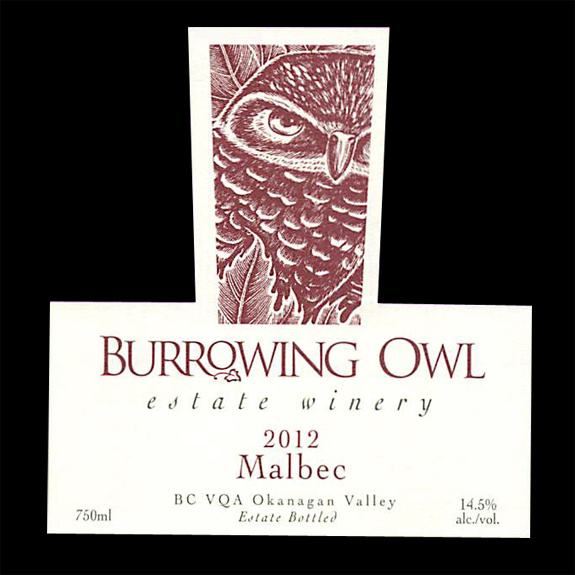 The grapes were harvested by hand from Burrowing Owl’s “Eva” Vineyard in Osoyoos at the end of October. They were de-stemmed and gently crushed before being fed by gravity flow into stainless tanks where they were allowed to cold soak for 3 days prior to fermentation for extraction of colour. Following the fermentation the wine was given 5 days to settle on its skins for further extraction. It was then moved into barrels for malolactic fermentation and aged for 21 months in a mix of barrels consisting of 80% French oak, 10 % American and 10% Russian and Hungarian. The use of 25% new oak and 25% one year barrels lent to complex savoury and spicy notes. Racked regularly during ageing, it was then bottled unfiltered.